Most Items will be sent via Couier, and is stated which method will be used next to the items. All shipping costs are Quoted for UK Only, if you wish to request Shipping for another Country please contact! Any Questions Regarding the Items please contact me. If paying via Paypal, As soon as payment is received delivery will be arranged. I don't mind Accepting Uncrossed Postal Orders or Cheques, but do prefer Paypal as its alot quicker Turn around for yourself and myself. 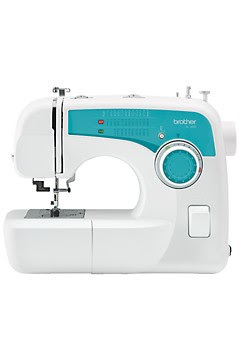 This Sewing Machine is basicly brand new complete with everything original, box etc . Used ONCE to make sure it works then put back in box to use later. But never have , now decided it wasn't for me as i don't have the Time/Space to use it. 35 automatic stitches (includes straight, zig zag, blind hem, elastic overlock). Stitch width and length adjustment. quick start guide and full instruction manual. H 38, w 48, d 25cms. I thought i would give the above prices as its a big equipment and alot money, plus some may prefer a special delivery day/time. I was Brought These for Christmas but already have them! This entry was posted on 1.12.07 and is filed under Items for sale - clearance . You can follow any responses to this entry through the RSS 2.0 feed. You can leave a response, or trackback from your own site. sorry about that don't know what it was but it gone now i can see, having a senior moment.